The Marvel Cinematic Universe is expanding. The news of Disney purchasing a large portion of Fox could've remained a bit of inside baseball if not for the creative implications it brought to one of the most beloved film franchises in modern history. Now, decades-old rights deals that kept Marvel Studios from using Marvel Comics characters owned by Fox are being dissolved, finally allowing for a long-impossible onscreen union of the Avengers with the X-Men and Fantastic Four. Not every Marvel Comics character is on its way to Disney—Sony Pictures still has the rights to the characters from Spider-Man's comics, and Universal Pictures still has the rights to the expanded world of the Hulk. But aside from that, most of the Marvel Comics universe is now fair game for adaptation by its sister movie studio, meaning that even as the third and fourth Avengers movies wrap up one long story, the future of the universe is more wide open and unpredictable than ever. Here's the breakdown of all the most exciting Marvel characters Disney is getting from Fox. 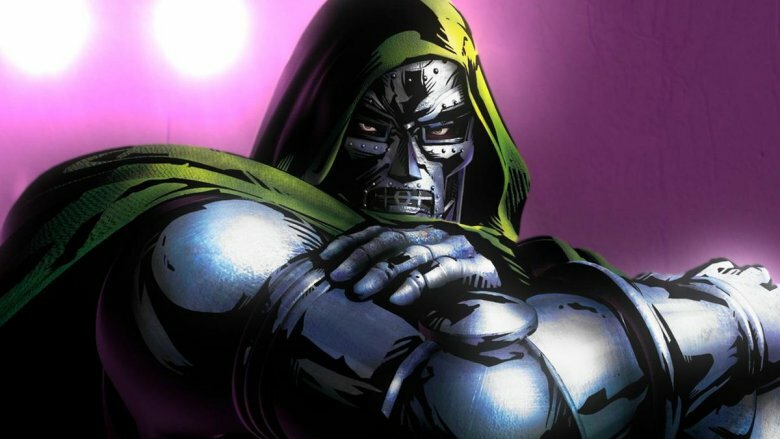 One of the most awesome developments from the Disney-Fox deal doesn't involve the heroes it brings into the MCU, but rather the villains—and no Marvel Comics villain is more thoroughly iconic than Doctor Doom. While Doom is mostly known for his eternal rivalry with the Fantastic Four, the ruler of Latveria has also gone toe-to-toe with Spider-Man, Thor, Captain America, and the Hulk, actually managing to technically defeat the Hulk by taking control of his mind. He's also a sorcerer whose powers rival that of Dr. Strange, and has even at times taken a turn towards good in the comics, recently taking on the unlikely mantle of the "Infamous" Iron Man. The Disney-Fox merger arrives at a perfect time for Wolverine. Embodied in iconic fashion by Hugh Jackman for nearly 20 years, the character had his last appearance with Jackman in the role in 2017's Logan. Now, he'll inevitably be reintroduced in an all-new way. Though he's firmly a hero, he's also character who has friction with just about everybody. 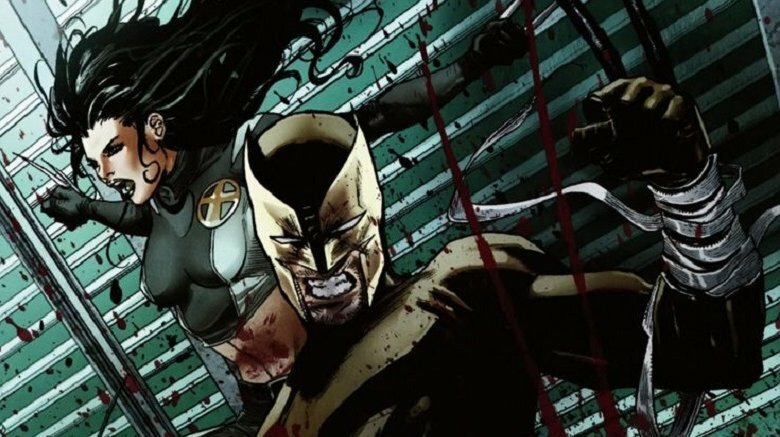 Over the course of a long and ornery life, Wolverine has fought the Hulk, Captain America, Spider-Man, and more—but what might be even cooler than seeing another version of James "Logan" Howlett onscreen would be seeing the adventures of his most well-known mutant progeny, Laura "X-23" Kinney or "Daken" Akihiro. Laura, a genetic clone of Wolverine, already made a huge impression in her debut in Logan, so much so that director James Mangold has mentioned he's pursuing a solo film for her. Alternatively, there's Wolverine's extreme son Daken, a too-cool villainous version of Wolverine who often behaves like Logan, just with none of the charm. That doesn't mean he couldn't work in a movie as a villain—and the idea of getting a Wolverine who isn't Logan, for at least a little while, could be an interesting palate cleanser after Jackman's impressive run. A cosmic monstrosity from the beginning of time, Galactus has fought everybody in the comics from Spider-Man to Squirrel Girl, which is why it always felt particularly painful that the rights to his character were wrapped up with the Fantastic Four. Galactus is a perennial Marvel villain, never losing his potency despite multiple appearances involving the same old, planet-eating scthick. Part of his appeal is that he's an immortal, unstoppable villain who can rarely be beaten by brute force alone; he's like a force of nature, a threat that can't be punched to death. Of course, Galactus never goes anywhere alone, and his coming to Disney also means that Marvel Studios has the rights to all his heralds—not just more well-known figures like the Silver Surfer, but more antagonistic characters like the loyal Air-Walker, the villainous Morg, the fanatic Stardust, and the ambitious Terrax. 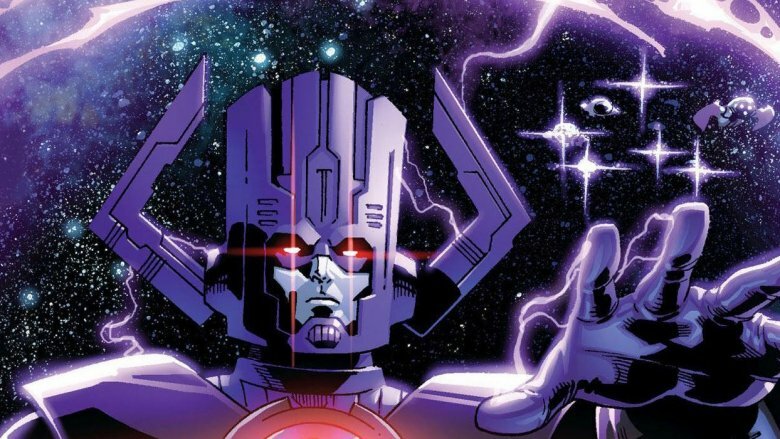 Once Thanos is through as a threat, don't be surprised if you start hearing rumblings of Galactus as the next big bad worthy of a franchise-spanning team-up. 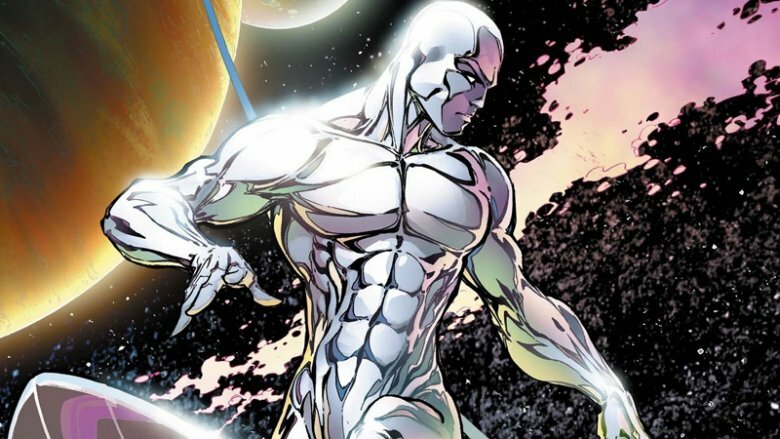 Born Norrin Radd on the planet Zenn-La, the Silver Surfer served as the longtime herald of the cosmic villain Galactus, seeking out new worlds for the planet-devouring entity to feast on. Though Galactus is often seen as evil, or at least amoral, Radd only took on the role of his herald as a bargain to spare his own planet from destruction. For a long time as Galactus' herald, he managed to maintain his moral compass, attempting to seek out planets devoid of life so no one would die on his behalf. But the Surfer began to lose his memories under Galactus' influence, eventually leading the villain to Earth. There, their relationship reached a breaking point, resulting in the Surfer switching sides. Following Galactus' defeat on Earth (due in part to the Surfer's betrayal), Radd became a cosmic man without a country, befriending other outsider characters on Earth such as the Hulk, Thor, Namor the Sub-Mariner, and Doctor Strange. The Skrulls have long existed in a realm of strange joint custody between Marvel Studios and Fox, with several specific members of the cosmic race being owned specifically by the latter studio. 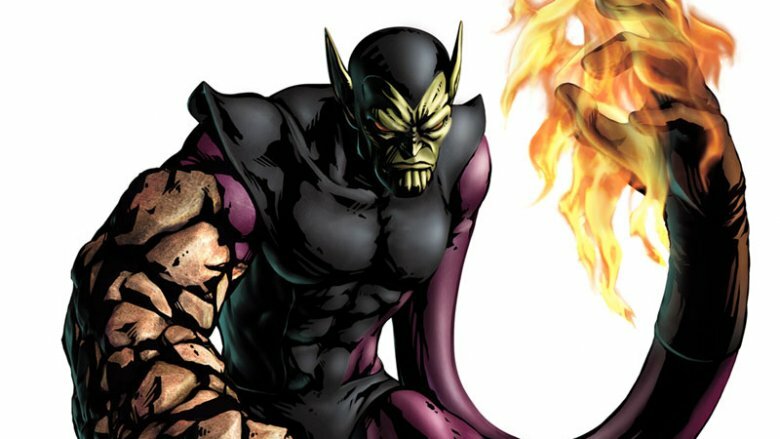 The most notable is the character of Kl'rt the Super-Skrull, a notorious shapeshifter and longtime nemesis of the Fantastic Four who possesses all the powers of Marvel's first family combined. But Super-Skrull is hardly just a Fantastic Four villain. Since being introduced in 1963, he's fought Thor, Iron Fist, Luke Cage, two Captains Marvel (Carol Danvers and Mar-Vell), Spider-Man, the Avengers, Namor the Sub-Mariner, and Misty Knight—among others. He's a smart, capable, driven and delightfully evil villain who could vex basically any character in the MCU—one of the few villains who could conceivably take on the Loki role, serving as a clever and compelling foil for many characters at once. Beast, a.k.a. the super smart Hank McCoy, has even at times been a reluctant enemy of the X-Men, initially leaving the team after a philosophical schism grew between him and team leader Cyclops. He also teamed up with the Avengers against the X-Men during one crossover event. In addition to X-Men and the Avengers, he's been a member of the extraterrestrial defense team S.W.O.R.D., the Inhumans, and founded his own science-based team called the X-Club, which we would kill to see a version of in the MCU. Come on, Disney—just get Tony Stark, Bruce Banner, Peter Parker and Hank McCoy in a room together. Call the movie Avengers: Science Bros and enjoy your next half-a-billion bucks. 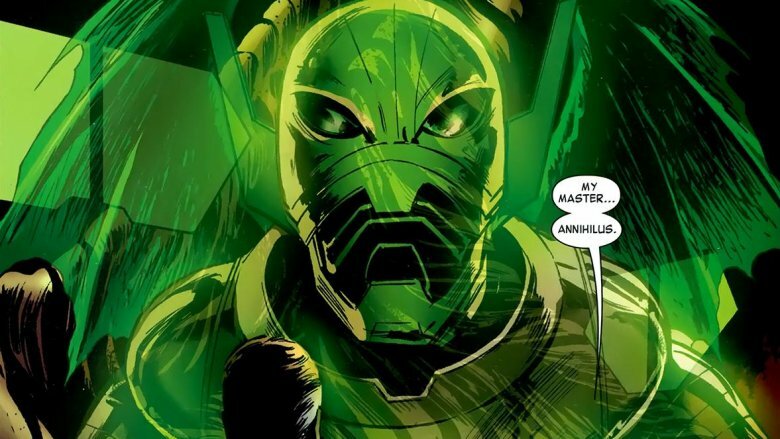 Annihilus is another villain mostly associated with the Fantastic Four, being the lord of the Negative Zone that gave that team its powers. Petulant, paranoid and panicky, he is an unskilled foe when it comes to strategy, generally winning thanks to overwhelming brute force. He has occasionally tried to invade Earth, and has been fought back at different times by the Hulk, the Guardians of the Galaxy, Warlock and—in a rare face turn—Thanos, the Mad Titan. Due to his longtime control of what is essentially a magic wand, he has become a being of near-limitless powers, so long as he maintains possession of the Cosmic Control Rod. 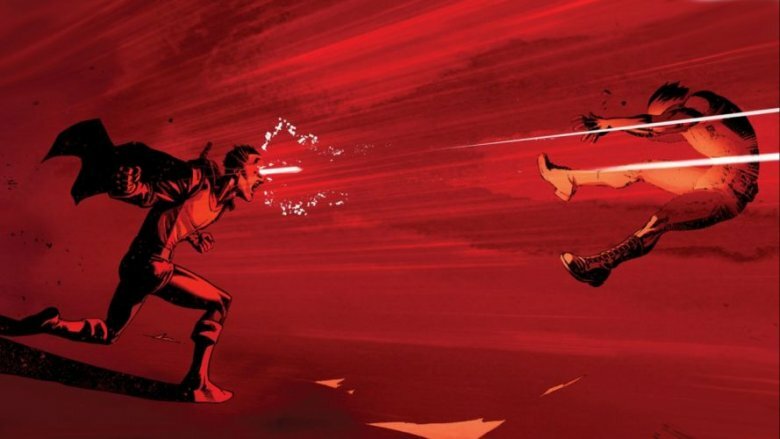 The rod being the source of his power, he only tends to lose a fight when he loses it—or, in that transparent comic book way, when the plot dictates he needs to. This Nova, Frankie Raye, is a different Nova than the human Richard Rider, member of the Nova Corps. Apart from the fact that they were both originally humans who inherited immense cosmic power, they don't have anything in common. Getting her powers from a totally separate chemical incident than the radiation event that birthed the Fantastic Four, this Nova has powers similar to Johnny Storm. She even formed a romantic relationship with him, and helped the Fantastic Four for a time as a fellow Human Torch. Eventually, she made the same choice Silver Surfer did, becoming a herald of Galactus in order to save Earth. 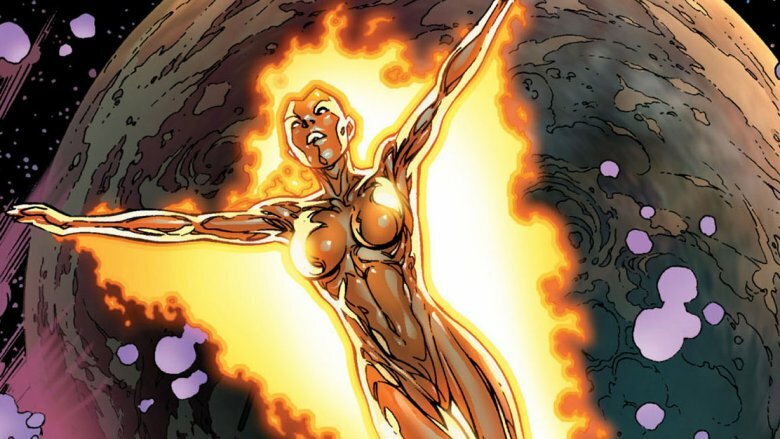 In the process, she became immensely powerful, a kindred spirit of sorts to the Surfer, suffering from the same loss of identity thanks to Galactus' corrosive influence. In the Fox movies, Frankie has already appeared as Johnny Storm's human girlfriend in Fantastic Four: Rise of the Silver Surfer. She would be an interesting character to reimagine at full strength, if only to get a glimpse of her adventures in space. She could still get a romantic subplot with Johnny Storm—it'd just be in the service of a much more interesting story. In February 2017, X-Men producer Simon Kinberg made reference to an in-the-works "X-Flight" movie, which many took to be referring to a new version of the never-before-adapted team Alpha Flight. It's easy to see why they've stayed on the shelves for so long—the winter weather superhero force is not exactly composed of marquee heroes. Unlike all of Marvel's many other groups, the team is based out of Canada, formed by the Canadian government with the help of Wolverine. 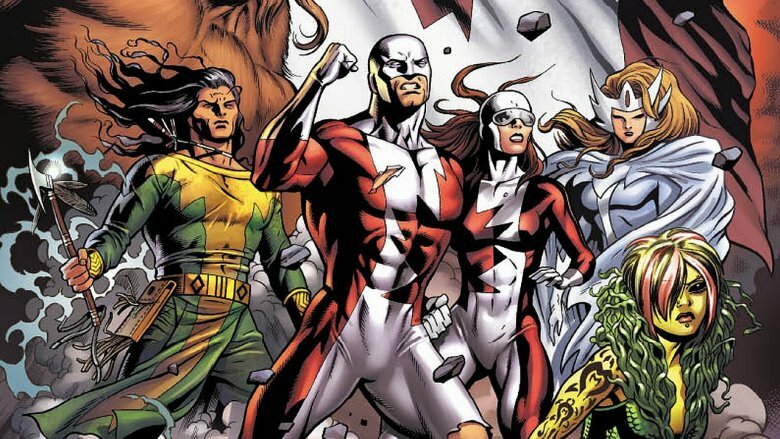 Even though they're not well-known, Alpha Flight could still make for a kickass, character-driven movie, especially if it leans into its team's Canadian identity as much as it should. The team includes mutants like the twins Aurora and Northstar, who can fly and control light; humans who gained powers through genetic manipulation, like the hairy Sasquatch and the rubberized Puck (yes, as in "hockey puck"); and humans who get their powers from their equipment, like the super-suit-wearing Guardian. 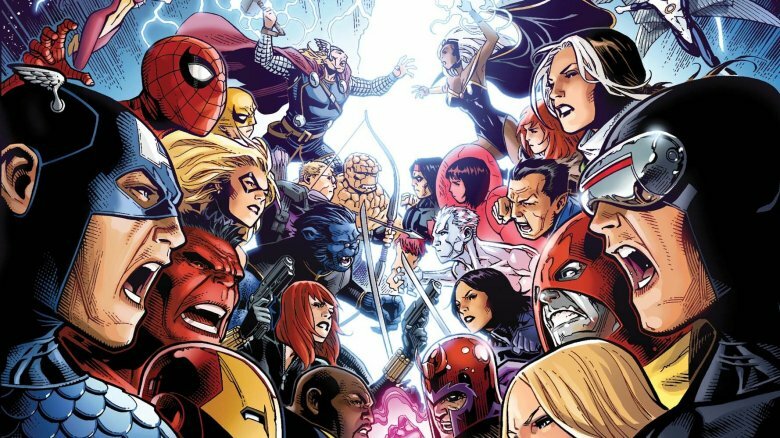 In the comics, they've had encounters with various versions of the Avengers and the X-Men, but have—so far—mostly kept their battles confined to their corner of the world. Hey, no one knew who the Guardians of the Galaxy were either, and look how that turned out. One of the coolest things Disney could do with the X-Men characters we've seen onscreen before is re-introduce them in radically different contexts, since these decades-old characters have all lived multiple lives. 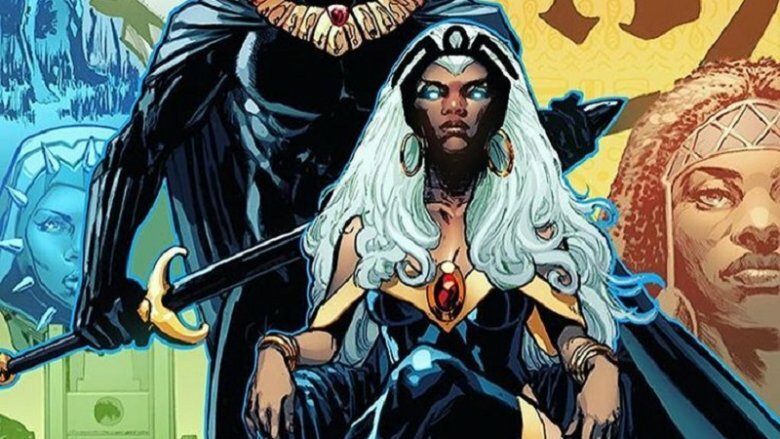 As for Storm, the weather-controlling mutant once portrayed by Halle Berry has had more in common with Black Panther than with X-Men lately, becoming the Queen of Wakanda after marrying T'Challa (though, in true comic book fashion, the marriage was later annulled). Her time as the Queen of Wakanda made her into a role model for all mutants, though it strained her relationship with the X-Men. But she and T'Challa didn't spend their whole marriage sitting on the bench in domestic bliss—instead, they actually joined the Fantastic Four, taking the place of Reed Richards and Sue Storm for a little while. It's all material that could be explored in future Black Panther sequels and Fantastic Four crossovers. Why not? It may still be an improbable team-up—but up until recently, it used to be impossible. Emma Frost is another mutant who was underserved in the X-Men movies, the rare character that can convincingly be (and be compelling as) a hero or a villain. As a member of the villainous Hellfire Club, she has served as a kind of opposing force to the benevolent Charles Xavier, recruiting gifted mutants to be her students at the rival Massachusetts Academy, where she lead her own mutant team called the Hellions. In her first appearances, she was a cold and evil figure who shared an outlook on humanity similar to Magneto. But during a low point in her life, she was rescued by and joined the X-Men, eventually becoming headmaster at Xavier's school along with Cyclops, with whom she enters into a romantic relationship—much to the chagrin of Jean Grey. 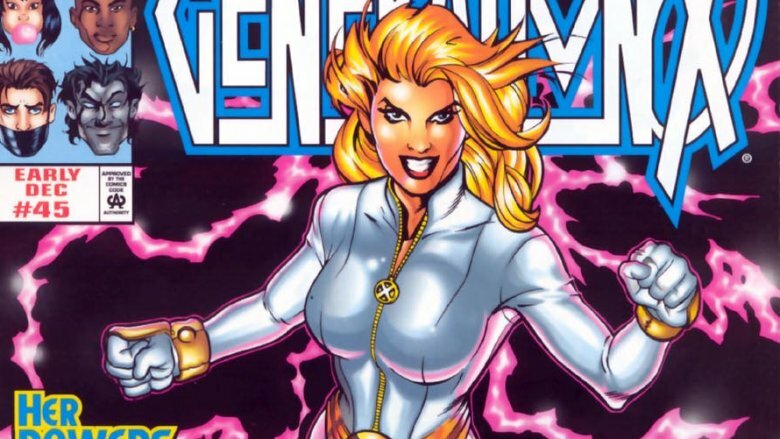 As far as her powers are concerned, she was originally only a powerful telepath like Xavier, only later manifesting the ability to cover her entire body in an unbreakable diamond-like substance. Despite this, Emma's immense psychic abilities have never been explored in the Fox X-Men movies, which have preferred to focus on her defensive powers instead. A version of Xavier's school in the MCU could immediately differentiate itself by having a complex woman like Emma heading up the place, and it could be interesting to see a version of the character in the movies that's as rich as she is in the comics, where she's had a day job as a billionaire CEO. It remains nearly unfathomable that the future of Deadpool will take place under Disney's watch, and yet here we are. It's sort of strange that Deadpool ended up being looped in as a part of the X-Men franchise under Fox's control, even though his first appearance was in an issue of New Mutants. Because while Wade Wilson gained his healing factor (and disgusting mug) as a result of the same Weapon X program that gave Wolverine his metal skeleton, he was never really a mutant. Concordantly, he's teamed up with tons of characters in Marvel Comics beyond the X-Men, fighting alongside Doctor Strange, the Avengers, Bucky Barnes, Daredevil, Thor, Spider-Man, Hawkeye, Captain America, and more. And Deadpool isn't the only character in his movie that has had interesting encounters with the wider Marvel universe—just ask Deadpool's roommate Blind Al about her WWII-era thing with Captain America. Like so many others on this list, Legion was once a Marvel Comics character in the D-League, known to only the nerdiest until he was given center stage in his own adaptation—in this case, the FX TV show Legion. Legion—real name David Haller—is the son of Professor X and a woman named Gabrielle Haller, and one of the most powerful mutants who has ever existed. He's also incredibly unbalanced, afflicted with over 200 split personalities—hence the name. As a result, he's one of the most dangerous mutants alive, constantly tormented by an entity called the Shadow King that wants to take over his fractured mind and use his powers for evil. 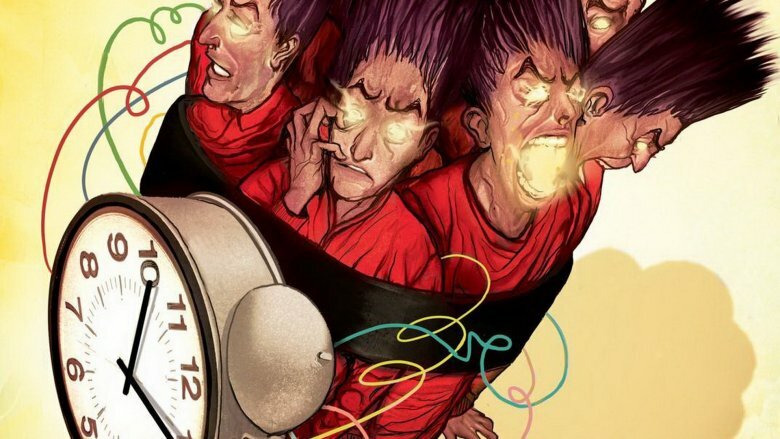 Originally introduced in New Mutants, Legion has the unique distinction of having his own show still running at the time of the Disney-Fox merger, making the future of this character a particularly interesting one to watch unfold as his show goes into its second season and beyond. 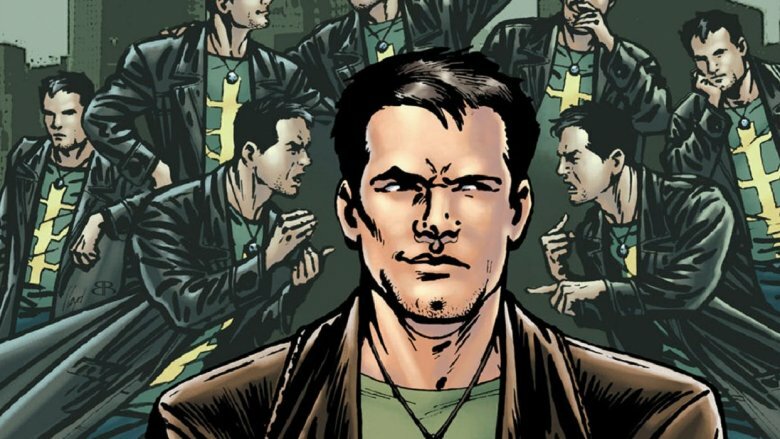 Before news of the Disney-Fox deal came down, Fox was apparently already in development on a movie about Jamie Madrox, the Multiple Man, with one-time Green Goblin James Franco set to star in the lead role. Hopefully the movie continues forward in some form, since Madrox is one of the more interesting mutant characters that could be focused on a solo film. For one, he's never had much of a relationship with the X-Men, instead mostly gaining notoriety as the head of his own mutant-staffed detective agency, X-Factor Investigations. As far as powers are concerned, Multiple Man is capable of splitting himself into a large number of equally strong copies. In the comics, he sided with team Captain America during the events of Civil War, and has crossed paths with the Fantastic Four, Doctor Doom, and Doctor Strange, with his duplicates—some of whom live separately from him for quite a while—having teamed up with the rival organizations S.H.I.E.L.D. and Hydra. 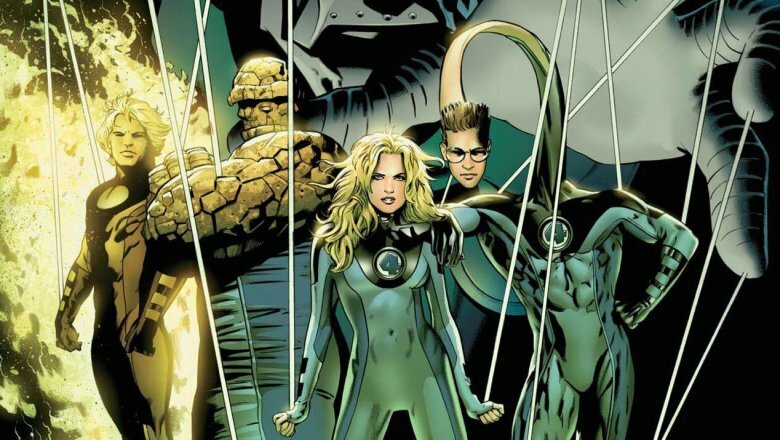 The most exciting thing about the Disney-Fox merger is arguably the near-guarantee that we'll finally get a good Fantastic Four movie. Finally, a film that gets to the charming core of Marvel's first family in a way that makes all of the previous efforts to make the team happen worth it. Even though they've appeared in three movies by now, the Fantastic Four have never truly "worked" onscreen. Some have argued that the team is just too corny—that a stretchy man and a rock monster aren't as interesting as myriad mutants or a deep roster of Avengers. But really, it's a matter of tone, and the Fantastic Four could easily slot into the tone of the MCU as it currently exists. And now, instead of having to inhabit their own universe, they'll get to interact with the same panoply of heroes they do in the comics, like Ant-Man, Spider-Man and more. Being celebrities, they can contrast with the heroes who keep their identities a secret. Another interesting character related to the Fantastic Four coming Disney's way is also one of the ones that Fox's movies never got to—Franklin Richards, the son of Reed Richards and Sue Storm. Unlike his parents, who gained their powers from the radiation of the Negative Zone, Franklin was born a mutant—and a mutant of godlike power, at that, strong enough as a child to create his own universe. If done right, he could be a big part of an awesome story. Cyclops is the mutant most consistently short-changed in the translation to the movies. In the comics, he's one of the most compelling Marvel characters, going from a Boy Scout under Charles Xavier to a violent rogue. In Fox's iteration of the X-Men, Cyclops has never really left his do-gooder phase; in the comics, his storyline has gotten a lot darker, with Cyclops' contentious and radical leadership style driving many of the original X-Men to turn against him. This one is interesting, because it's one of the first Fox movies set to come out after the Disney merger became official. 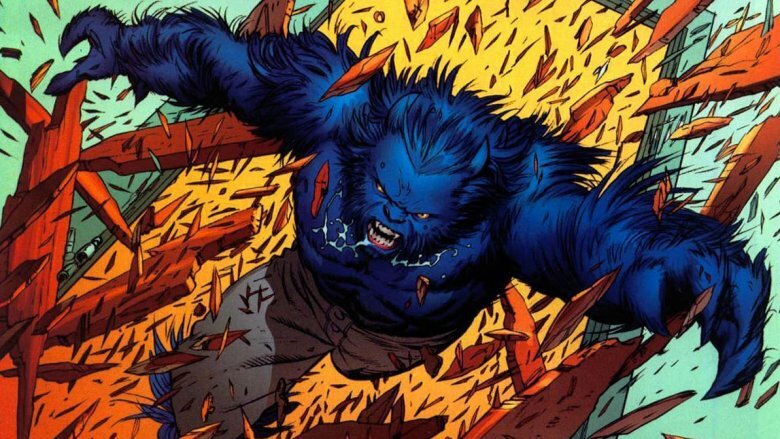 That movie, adapting a horror-themed storyline centered on the soul-corrupting antagonist the Demon Bear, has a cast of five heroes—Magik, Wolfsbane, Cannonball, Sunspot, and Danielle Moonstar/Mirage—but that's just a small selection from a big roster. 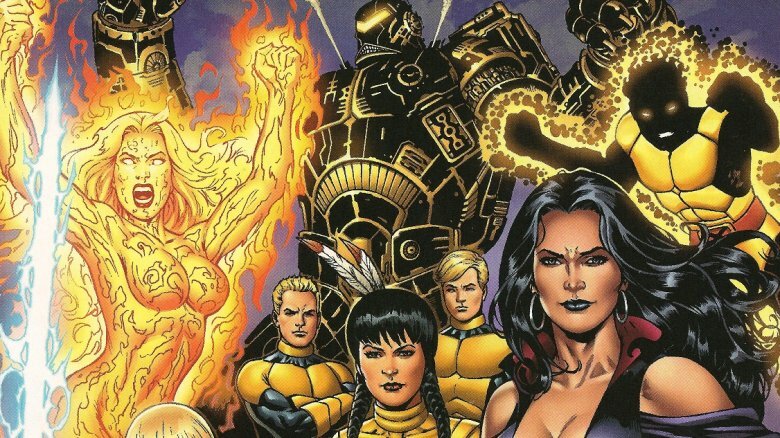 Including more than 20 characters, the name "New Mutants" refers to a number of teams who have worked under the leadership of, at times, Professor X, Magneto, and Emma Frost, as well as Cable, who organized one version of the team into a sort of precursor group to the X-Force. It'll be interesting to see how all of these characters are used by Disney after The New Mutants, since most of them have never been introduced on film in a big way before. One of the most potent beings in Fox's X-Men series is being revived for X-Men: Dark Phoenix, but the immortal cosmic entity known as the Phoenix Force has come back for more stories in the comics. Though it formed its most well-known bond with the mutant Jean Grey, eventually overpowering her and using her to rack up a body count in the billions, it has gone on to inhabit a number of hosts in the Marvel universe. 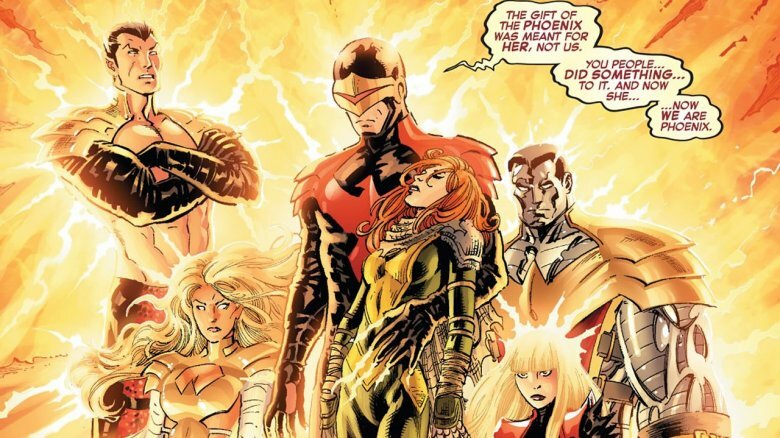 Beyond Jean Grey, the Phoenix Force was once split by Iron Man into a many-forked entity that proceeded to possess Cyclops, Emma Frost, Namor, Colossus, and Magik. This set up a comic book showdown between the X-Men and the Avengers; arguably, something like the Phoenix Force is one of the only things that could make that fight believable in the movies. En Sabah Nur, a.k.a. 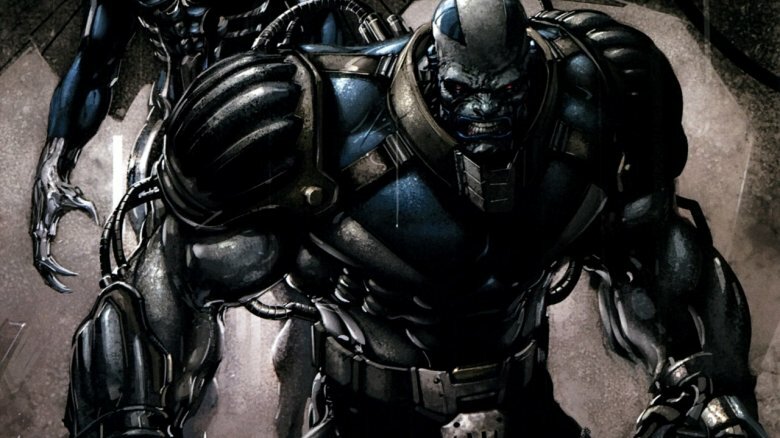 Apocalypse, also recently had a turn as a villain in an X-Men movie, but that doesn't mean the immortal mutant can't show up again in another, weirder context. The character has also faced off with both Thor and Loki, and recruited notable characters to his side such as Wolverine, the Inhumans, and the Hulk. He is also both the inadvertent creator and longtime rival of Nathan Summers, a.k.a. 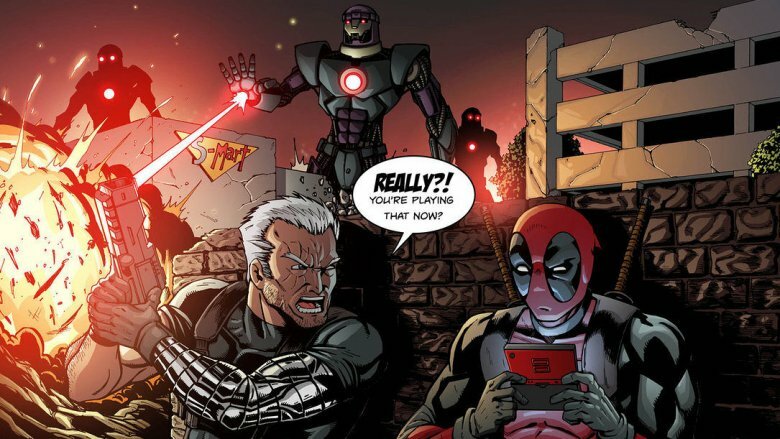 Cable—a relationship that has yet to be explored onscreen. Here's an odd one for you. A madman scholar from the future who became obsessed with the past, Nathaniel Richards—a.k.a. 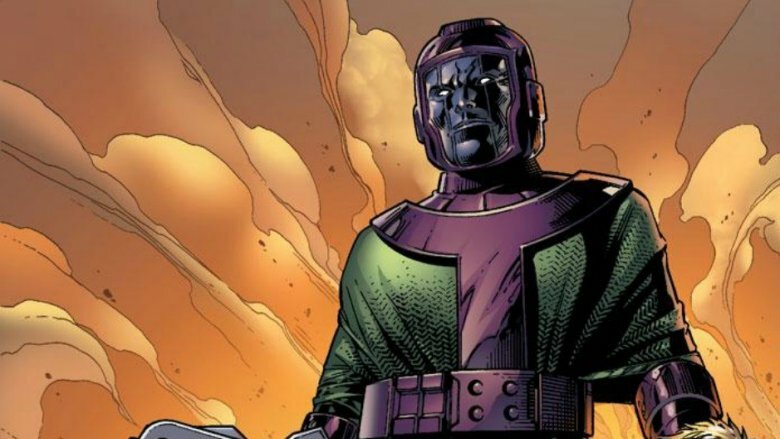 Kang the Conqueror—went back to ancient Egypt to become a pharaoh in the vein of Apocalypse. Owing to his nature as a time traveler, he's another one of those guys who has encountered just about everybody. He also has no superpowers—just advanced tech from any time period he can think of, and the combined knowledge of 40 centuries' worth of human history. Did we mention that thanks to a quirk of time, he's also known for having multiple, variously unbalanced clones roaming uncontrollably throughout time? It's not hard to see how his cocksure behavior and sort of absurd skillset could shine in the MCU, which doesn't seem to have a problem with occasionally lampshading how ridiculous all this comic book stuff is.